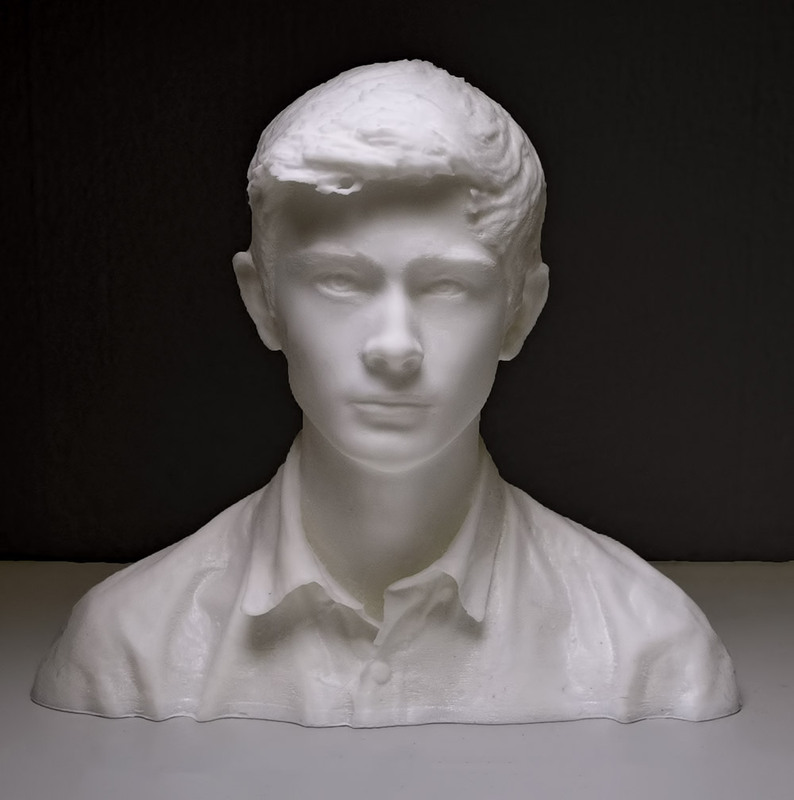 3D Printed Bust | Scan & print your image in resin or full colour. Your head is scanned and retouched to make the skin totally perfect. You may choose a simple white resin for a museum marble look. 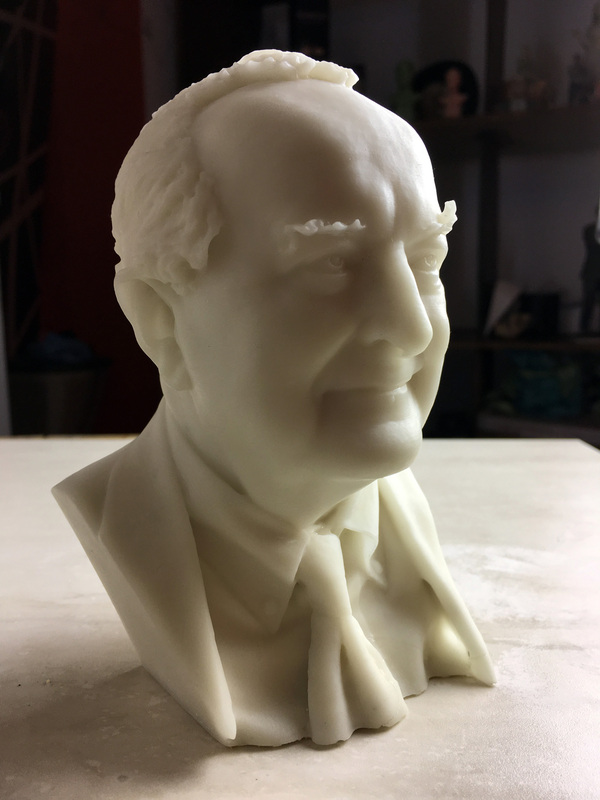 Printing in resin gives a perfect definition to the face. PROCEDURE The whole scan takes only a few minutes of your time. We will take lots of pictures and then build a 3D model from them. It’s a relaxed affair and you only stand still for a minute. Hang around for a few more minutes, have a coffee and then see yourself rendered on the screen. Now you can go away happy that the scan has been a success. We will have your print ready ready to collect or send within 14 days. 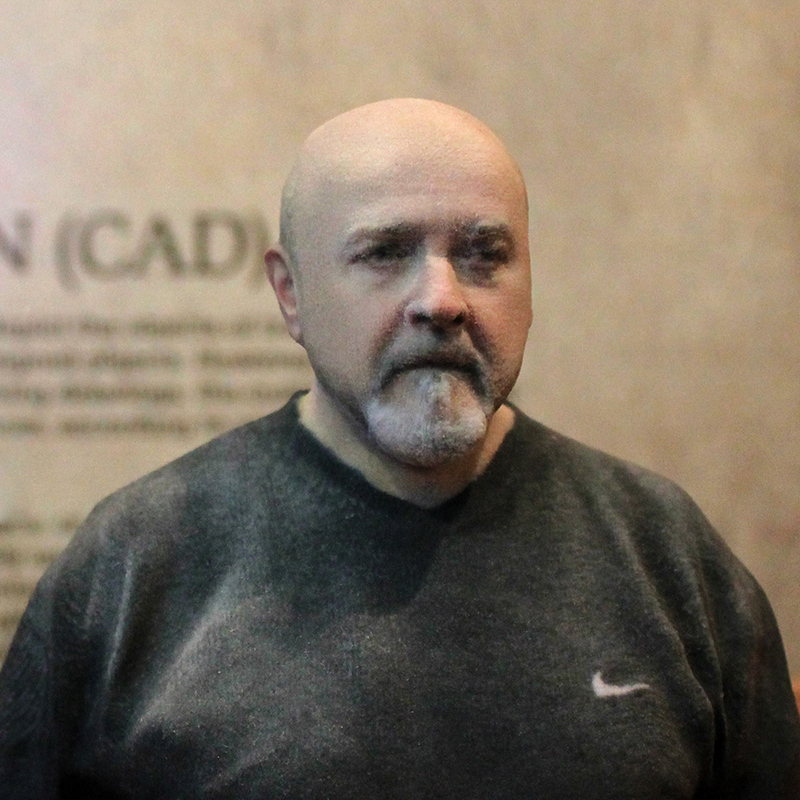 SAFETY Our 3D scanner is absolutely harmless – it uses normal photo cameras. No x-rays, no lasers or any other dangerous radiation. Pay in store on the day of your scan. 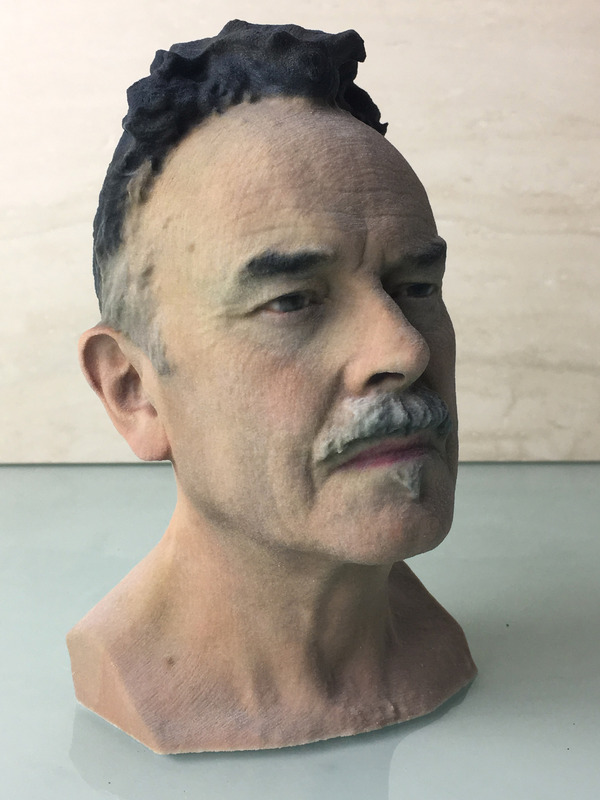 Mini-You bust is made of sandstone and 3D printed in full colour. Come and visit our booth and getting scanned. 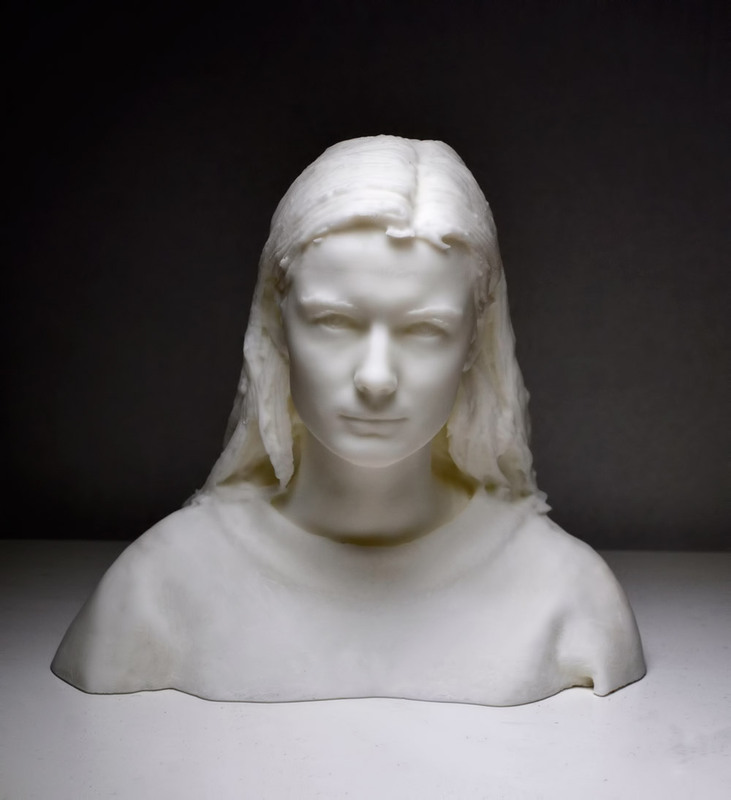 Or if you can’t visit London easily then ask us about a specially sculpted bust from your own reference pictures. You can choose from 4 standard sizes. 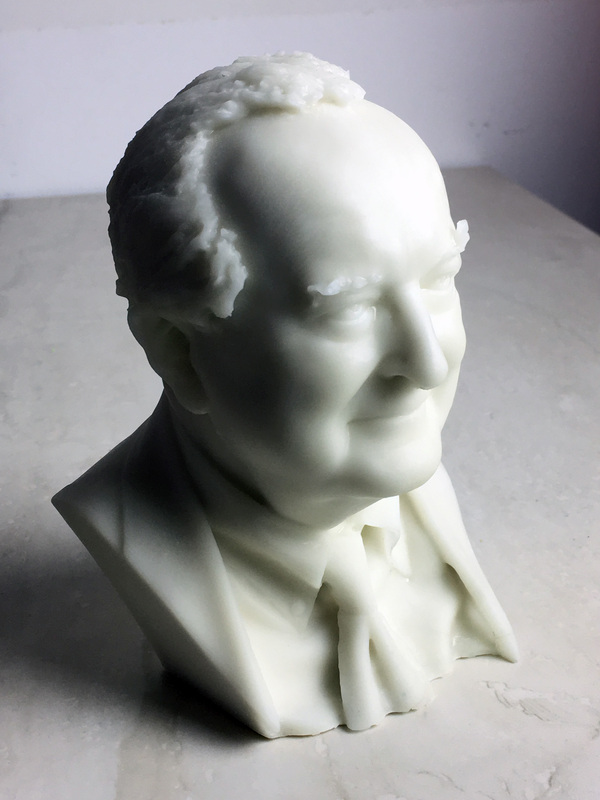 For the best results, we always recommend that you come and get 3D scanned but if you live far from London or even abroad don’t worry, our 3D design gurus can create a mini-you bust from several images. IMAGE REQUIREMENTS You need to make at least 3 images of yourself in the following positions: front side, left side, right side. They must be done at the same time, with the same camera, settings and lighting conditions. Use a flat (ideally white background), try to have as much light as possible and avoid using flash. Take some from above and below at the same time. SCANNING PROCEDURE The whole scan procedure will take about 20min. 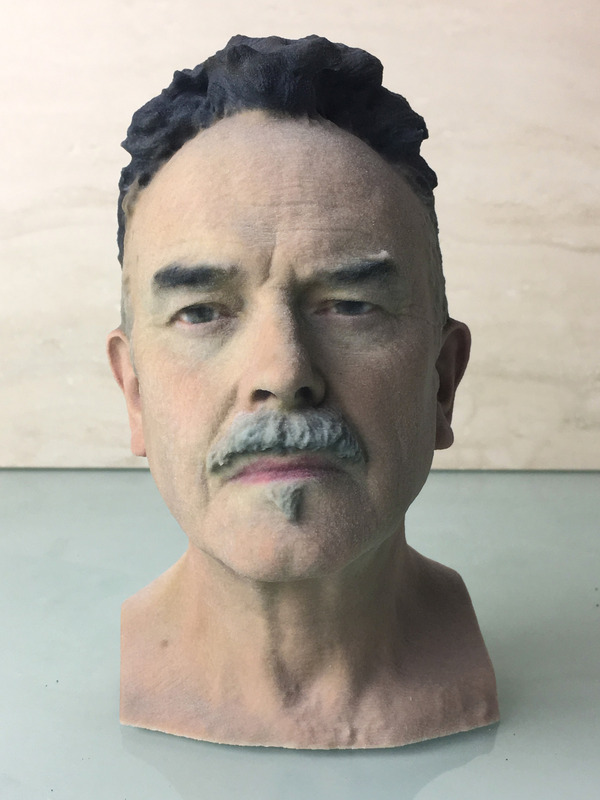 We will take many of pictures of you which are then cleverly combined to make a 3D model of your head. The larger the print, the greater the detail will be visible. PACKAGING 4 inch MINI-YOU comes in a wooden display box. A transparent display dome or box is available for bigger sizes.SAFETY Our 3D scanner is absolutely harmless – it uses just normal photo cameras. No x-rays, no lasers or any other dangerous radiation. 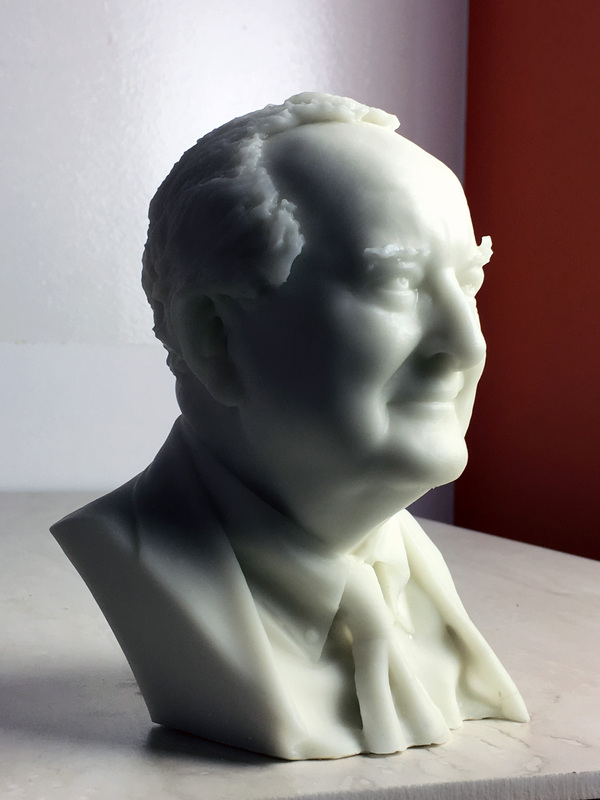 We have developed an exciting new product: an affordable pure bronze bust. 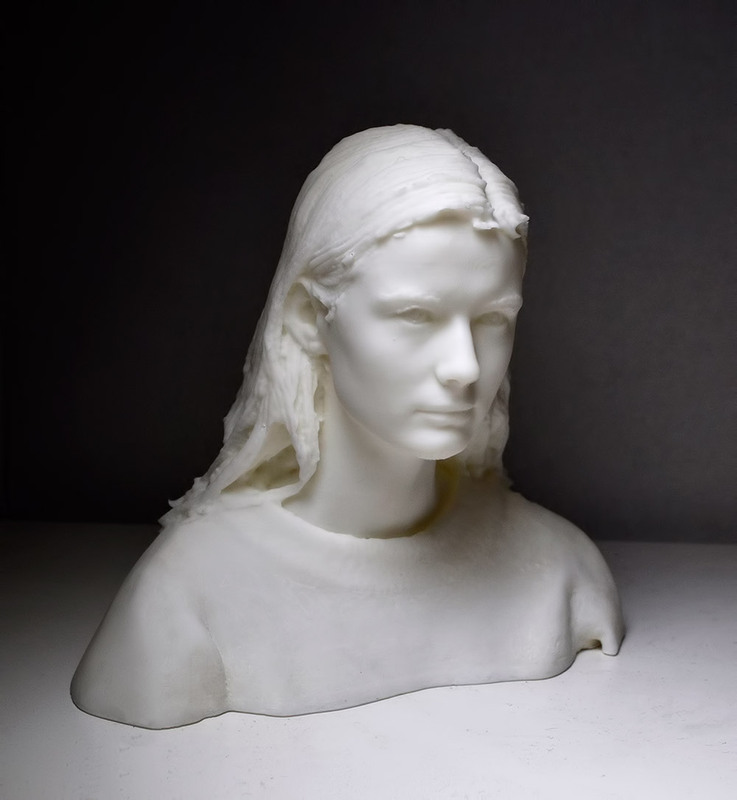 Your detailed scan is professionally transferred into real bronze via a lost wax mould and then lovingly polished to the same quality as you will find in any art museum.